In addition to regular autumn species immigrant species have continued intermittently. 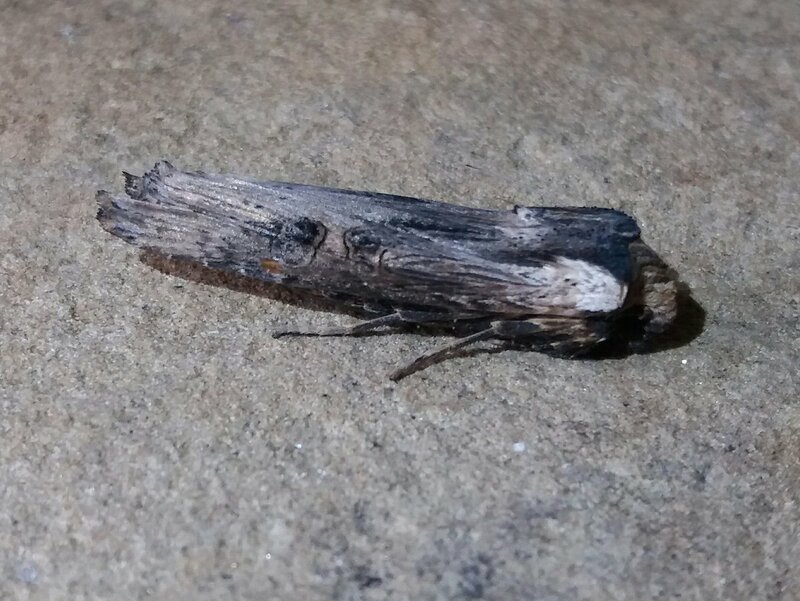 Dark Sword-grass has been abundant, though it may also be resident. Yellow Line Quaker that seemed to come in during October, along with the Large Wainscot, continued to mid month and White-speck appeared mid month too. 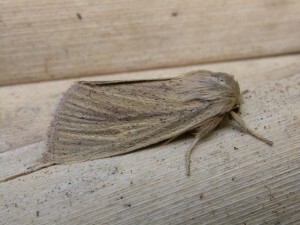 Also of interest has been the Dark Arches that has coincided with immigrant peaks during the last couple of months that suggests it too may join the immigrants along with other resident species such as Angle Shades, Turnip, Vine’s Rustic and Setaceous Hebrew Character. Picked up my first Sprawlers for my home site during November, which really exited me. Have 4 records for it. I have also been doing a few dissections that have been left over from June/July peak catches and recorded another two firsts for me. Coleophora coracipennella from 17th July at home. Looks very similar to C. serratella. Also whilst dissecting Cnephasia species from Abbey Farm, Snape from 19th June, one turned out to be Neoshpaleroptera nubilana. It was a dark very undistinguished specimen with no clear markings. 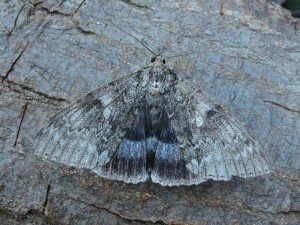 National Moth Night Data must be recorded before 2nd December. 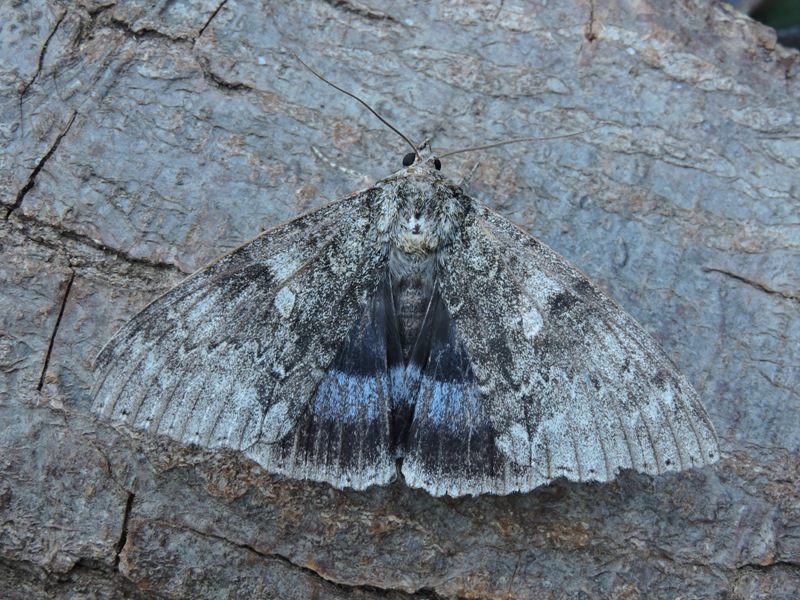 I have just uploaded one set of data on the Moth Night recording data sheets. In doing so I realised that there were two different recording sheets for moths. The other being found through Butterfly conservation web site. Having uploaded to the Moth Nights web site and then being shown a map of all sites uploaded so far, my other data set was not on it. There were also very few other sites in Suffolk. I have emailed the moth night info to ask if I have to re-load the first data set to their recording sheet. I have now received a reply to the email. If you record it on the general data recording sheet in Butterfly Conservation it does not get transfered as a record set for the National Moth Night. I therefore have to re-enter that data onto the National Moth Nights recording data sheet. As Neil points out there is very little data there at the moment for Suffolk. With the prospect of much colder weather arriving looks like the moth season is about to draw to a close for 2018 here. So here is the November news from my area. 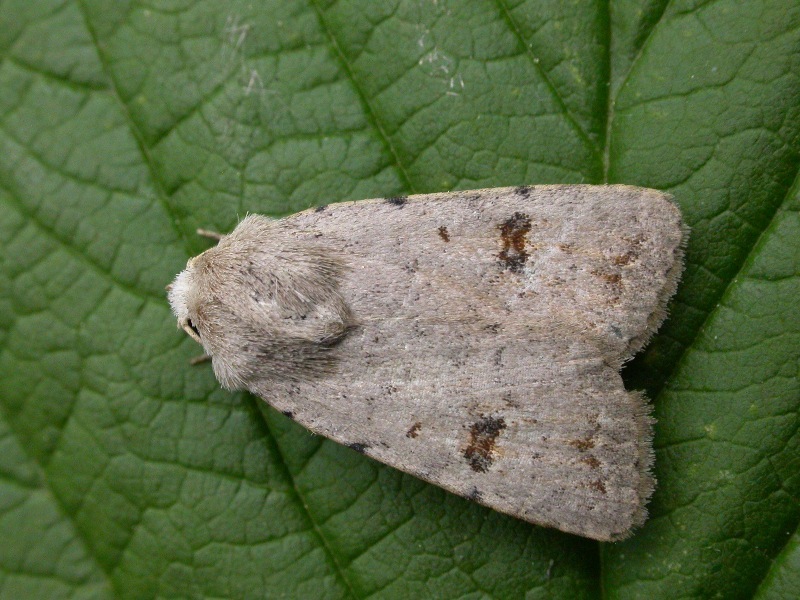 Both the Oak rustic and White speck invasion failed to make it to my site despite a lot of trapping effort. I’m sure there will be other chances in future years with climate warming going on. Best night (in fact the best ever November night) was the 15th with 21sp seen. Previous best was 18sp. Only one migrant of note during the period, a Palpita vitrealis on the 15th. Rest of the moths seen pretty typical for the time of year here. Less common species included Diurnea lipsiella, Northern winter (4 seen), Scarce umber, Acleris logiana and Autumnal moth. 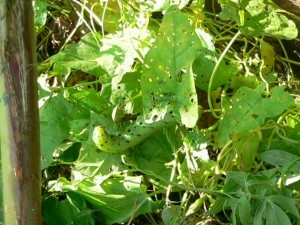 There is currently a widespread national influx of unipuncta taking place. I have been fortunate enough to obtain four examples over the past week at Bawdsey; which is about the same number I have seen over the past 15 years in the district! Another was also noted at Wrentham (A. Wren). There is still time, over the next few mild nights for more, so keep a look out! The anticipated arrival of the Oak Rustic at Bawdsey has occurred with a singleton attracted to my lamps on 7 November. With much Holm Oak around the Bawdsey district, this moth is likely to become abundant and a regular feature here in late autumns to come. As Raymond has mentioned in his post, October this year was all about the warm spell mid month, producing migrants, out of season summertime moths and good numbers of some of the autumnal regulars. Not too much happened here before the 10th, with just a steady trickle of the usual species around. I didn’t trap after the 25th, with a spell of much colder weather arriving with the first frosts. I’ll start with the out of season species. These included: Phyllonorycter coryli, Lozotaeniodes formosana, Pediasia contaminella, Crambus pascuella, Gypsonoma dealbana, Blood-vein, Latticed heath, Least carpet, Riband and Plain waves, Pebble and Oak hook-tips, Mottled rustic, Heart and Dart and Mouse moth. Some of these appeared more than once too. Onto the regulars. Had Dusky-lemon sallow, Buttoned snout, Dotted chestnut (a few), Streak (good numbers, 19 on 21st highest number), Deep-brown dart (good numbers), Flounced chestnut (again did well), Merveille du Jour (lots, high of 21 on 15th), Turnip (loads, some possibly migrants). 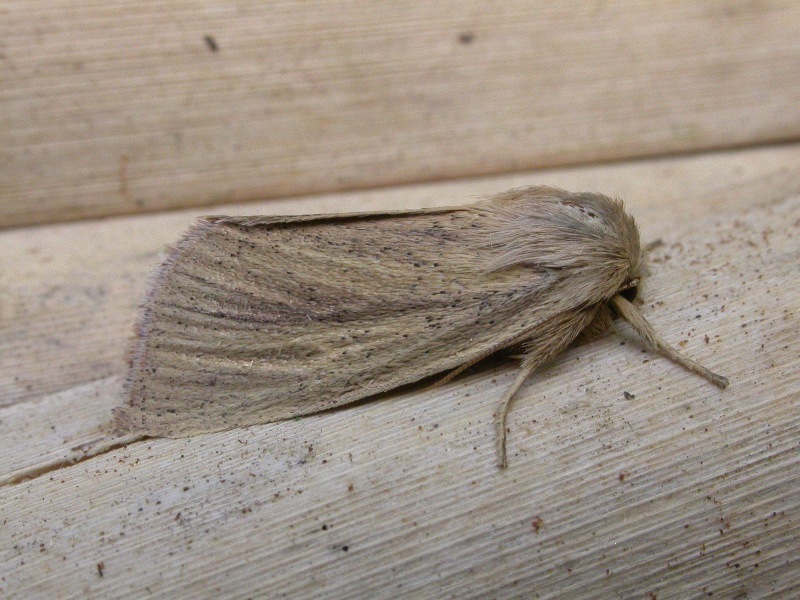 Both Blair’s shoulder knot and L-Album wainscot were poor, probably due to the summer drought (my large conifer in the garden died and all the grassland burnt out on site). Mallow wasn’t seen at all, normally regular. 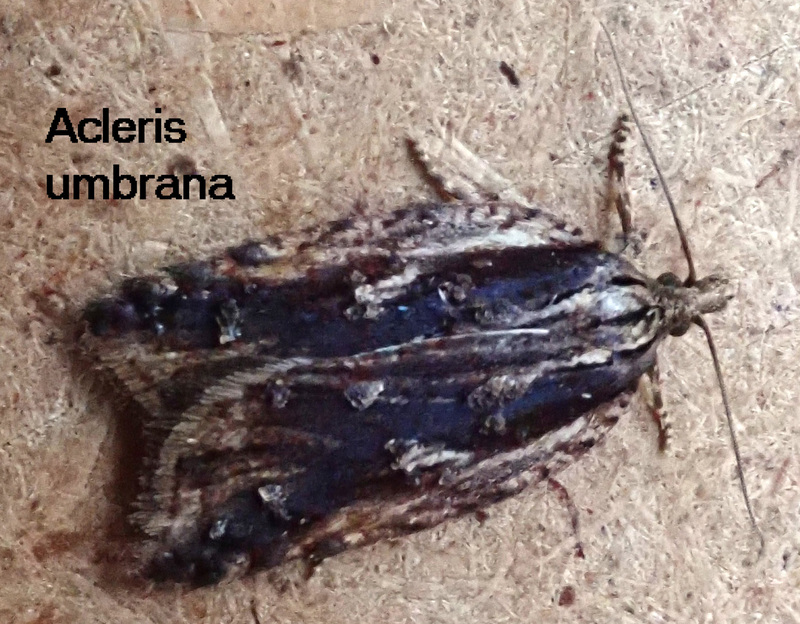 A good sighting for here was the Tachystola acroxantha on the 16th, my second record. Now onto the main event of the month, the warm spell with the winds from southern Europe/north Africa. Like Raymond, I too failed to get any Spoladea recurvalis. However I did get Four-spotted footman (male, 10th), Palpita vitrealis (12th and 20th), Clancy’s rustic (12th, 13th and 16th, all different ones, new to my site list), Small mottled willow (17th) and my personal highlight a Clifden Nonpareil (new site record, 15th). The best night during the warm spell was the 13th in fact it is almost certainly my best ever October night here. Had 74sp and over 550 moths in 3 traps, never seen so many moths in October before was like a summer’s night! Amongst this catch was a Blair’s wainscot, another new site record. Also found were Vestal (and had another 3 on the 16th), the Clancy’s rustic already mentioned, 4 Cydalima perspectalis (Box-tree moth, also seen on the 15th and 21st) and Adoxophyes orana. 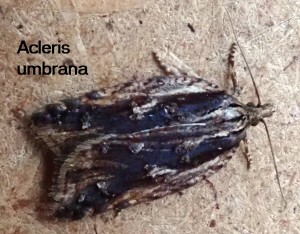 With the three new macro moths I’ve seen this month (along with some other species of moth), I’m finding it is becoming very difficult now to tell whether they are immigrants, internal UK wanderers or local breeders in Suffolk. I guess only time will tell if we start seeing lots more of them. With November moths and Mottled umbers appearing in the latter half of the recording period, it’s feeling like the season is drawing to a close. Will the warm weather potentially returning for a while at the start of November bring in anything interesting? Has been very cold in France and Northern Spain recently with early snow falls, has this killed off any potential immigrants? I have done very little moth recording this year and was completely unaware of the migrant bonanza of mid October until well after the event had occurred, much to my disappointment. Therefore on the 23rd I was very pleased and surprised to find two Convolvulus Hawk-moth larvae on a patch of native climbing Convolvulus plant which I hadn’t got around to spraying off in my garden. Gardeners among you will know that it smothers plants and is difficult to eradicate but from now on I will transfer some pieces of the root to some of my wild areas in hope of hosting further larvae in the future.